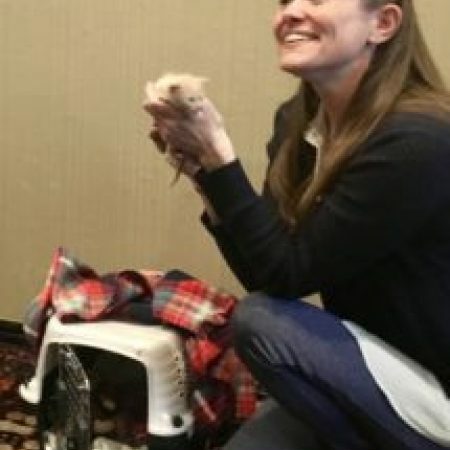 Neonatal Ward Manager for Austin Pets Alive! Casandra grew up in South Carolina and received a BA in Psychology from Clemson University. She moved to Austin in 2009 and promptly became a fixture in APA! 's Bottle Baby Program. She worked countless hours as a volunteer before becoming the neonatal ward manager for Austin Pets Alive! in 2011. Under her direction, APA!’s Bottle Baby program celebrated an unprecedented 90% save rate during the 2013 season. In her spare time, she enjoys being outside and hanging out with her two dogs and two cats - all APA! alumni. Austin Pets Alive! has saved over 11,000 neonatal kittens since 2009. In this part of a two-part presentation, we’ll cover how to start and build a bottle baby nursery. Austin Pets Alive! has saved over 11,000 neonatal kittens since 2009. In this part of a two-part presentation, we’ll cover how to start and build a bottle baby nursery, plus how to create a foster network for neonates. Attendees will work with experts to tackle their obstacles to saving all the cats.